Welcome home to The Verwood! 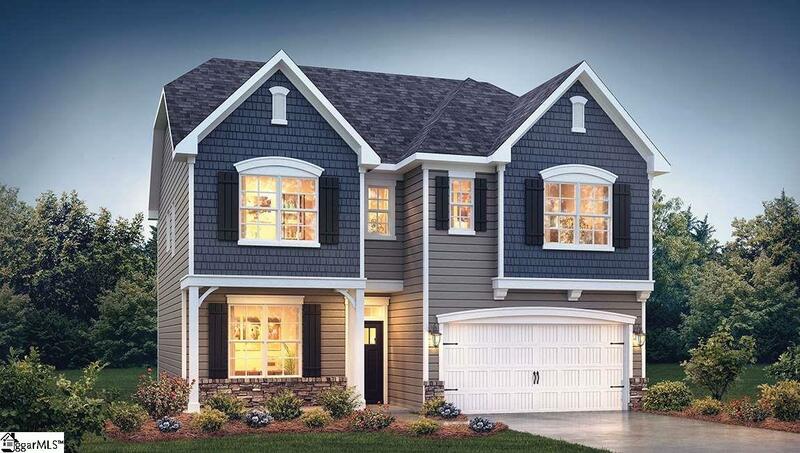 This 2-story home has 3 bedrooms, 2.5 baths and a loft. This home is perfect for households of all sizes. You will be greeted by a larger foyer and formal dining room. The main level has a beautiful kitchen with stainless steel appliances, gas range, granite countertops, tile backsplash and an island. The family room features a gas fireplace and ample space for entertaining, with a powder room around the corner for convenience. Upstairs you will find a large owner&apos;s suite with trey ceiling, master bath with tile shower, garden tub and large walk-in closet. 2 additional over-sized bedrooms, a full bath with double sinks, a loft and laundry room complete the upstairs. Relax on your front porch or enjoy your private backyard on your oversized covered patio. A 2 car garage and extra long driveway offers plenty of room for off street parking. This home sits beautifully on a 0.13 home site next to common area. This is truly "one of a kind" home. This home is under construction and is scheduled to be complete end of April 2019. Eagles Glen is in the highly desired Eastside school district and is centrally located in the heart of Greenville close to all major shopping, restaurants, hospitals, major interstates, the airport and a 10 minute drive to downtown Greenville.